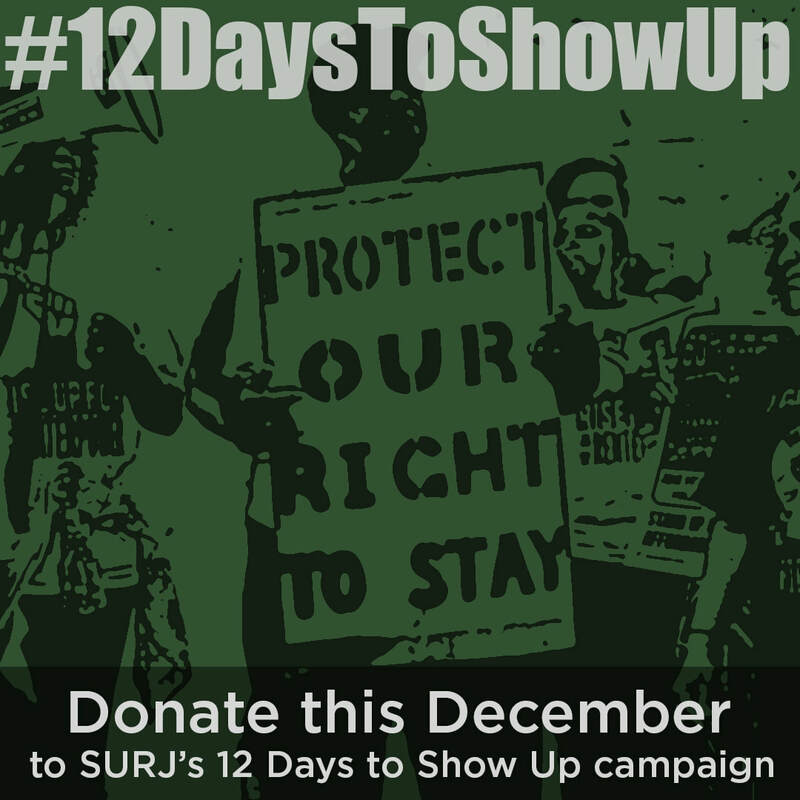 SURJ Bay Area's #12DaystoShowUp campaign is our annual end-of-year fundraiser where we work to sustain white anti-racist organizing and make substantial contributions to the Black and POC-led organizations leading the local fight for racial justice. 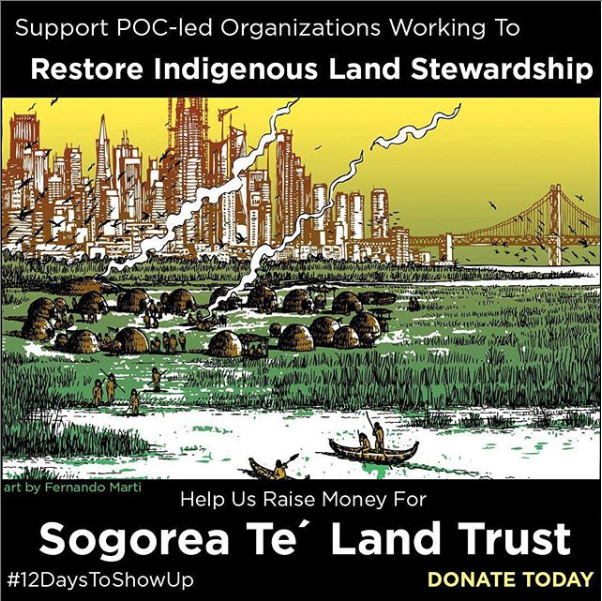 75% of all funds raised in this fundraiser to are sent to local, racial justice organizations led by People of Color. 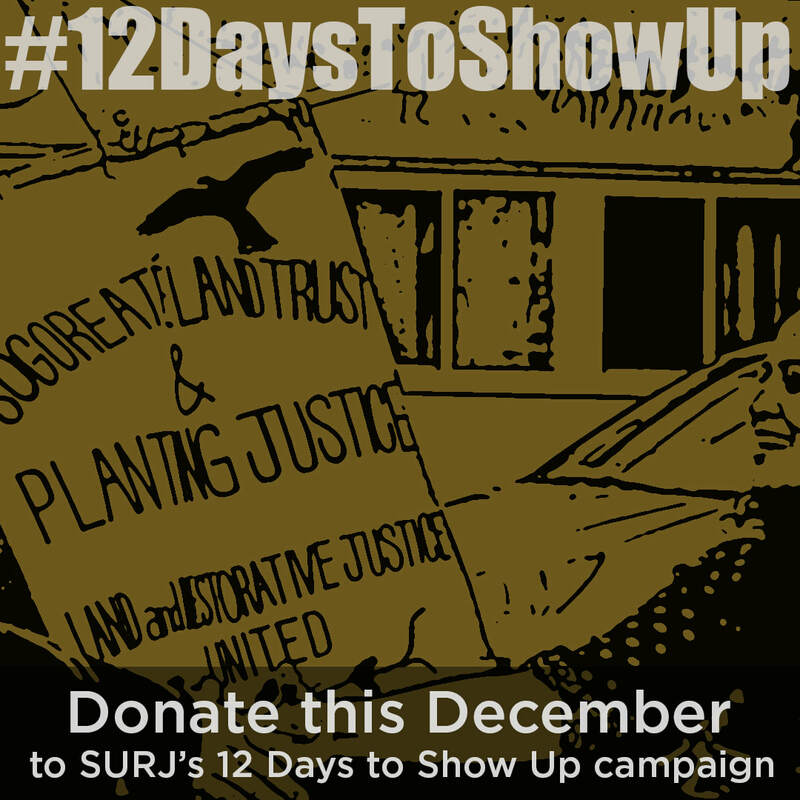 * 25% are sent to rural and under-resourced SURJ chapters mobilizing white people throughout the U.S.. This year we are aiming to raise $30,000. Any contribution is meaningful, whether it’s $5 or $5,000. 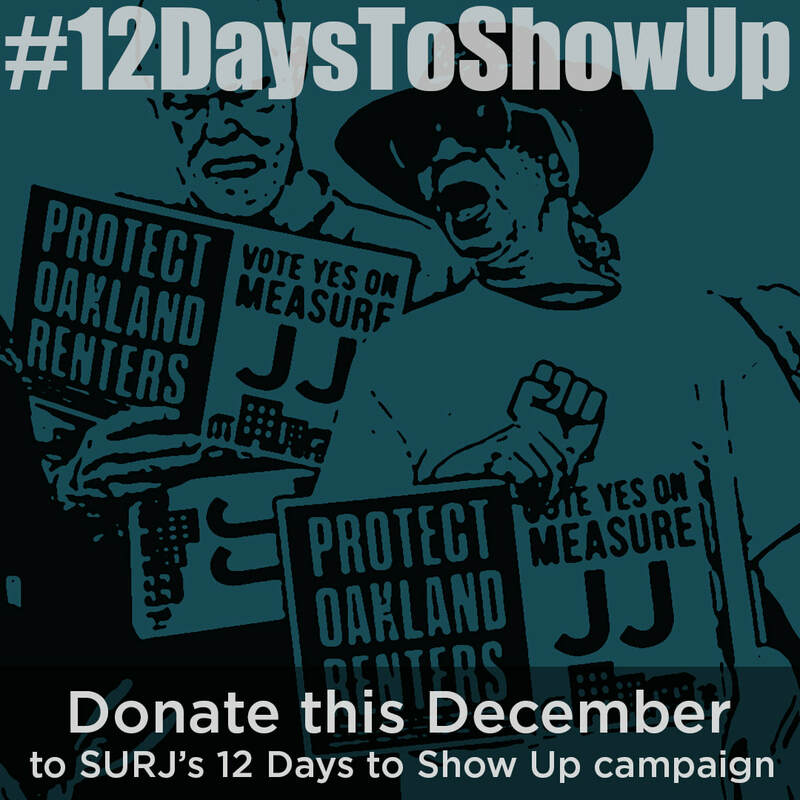 You can donate here. 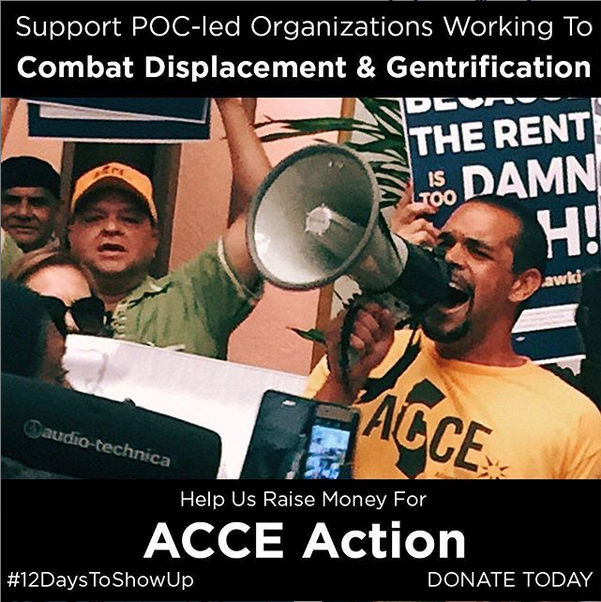 We also encourage you to make a matching donation to one of these organizations. 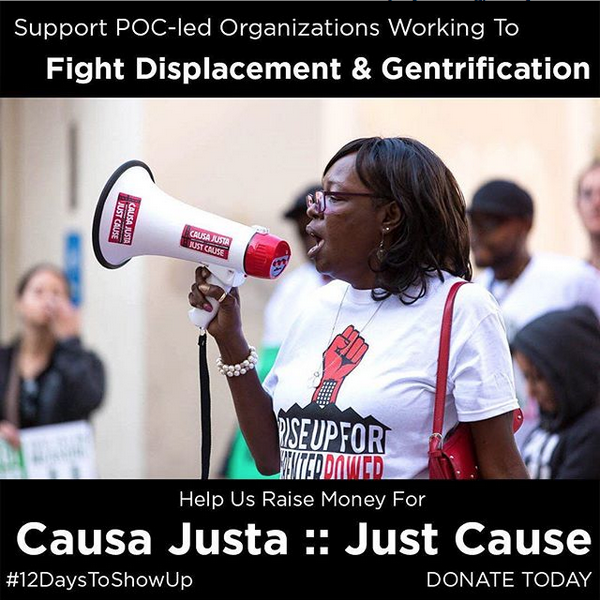 Abundant Beginnings, All of Us or None, Alliance of Californians for Community Empowerment, Anti Police-Terror Project, Arab Resource and Organizing Center, Causa Justa Just Cause, Community Ready Corps, Ella Baker Center, Essie Justice, Initiate Justice, Sogorea Te, TGI Justice Project.